For celebrities, the next frontier of social media is a deliberately impersonal one: chatbots, a low-level form of artificial intelligence that can be harnessed to send news updates, push promotional content and even test new material. The interaction, it turned out, had been conducted on Facebook Messenger with Maroon 5’s chatbot — an automated program designed to respond to basic commands. Not exactly a conversation with Adam Levine, Ausset noted, but it didn’t matter. She now happily talks to the bot, too. For celebrities who use Twitter, Instagram and Snapchat to lend a personal touch to their interactions with fans, the next frontier of social media is a deliberately impersonal one: chatbots, a low-level form of artificial intelligence that can be harnessed to send news updates, push promotional content and even test new material. In the music world, “bot” is often a dirty word, conjuring up the tools used by high-tech ticket scalpers. Yet 50 Cent, Aerosmith, Snoop Dogg and Kiss have all deputized chatbots as their automatic, ever-alert greeters on Facebook Messenger, handling the flood of inquiries that would overwhelm any human. When someone connects to Maroon 5 on Messenger, a text bubble pops up: “Hi,” it says, “I’m the Maroon 5 bot. Want to be the first to know when we release new music?” A series of questions with multiple-choice answers follows, leading the fan down a path lined with emojis and video clips; social-media links then point other fans back to the bot. It is a purposely simple interaction, created through technology developed by a startup named Octane AI. 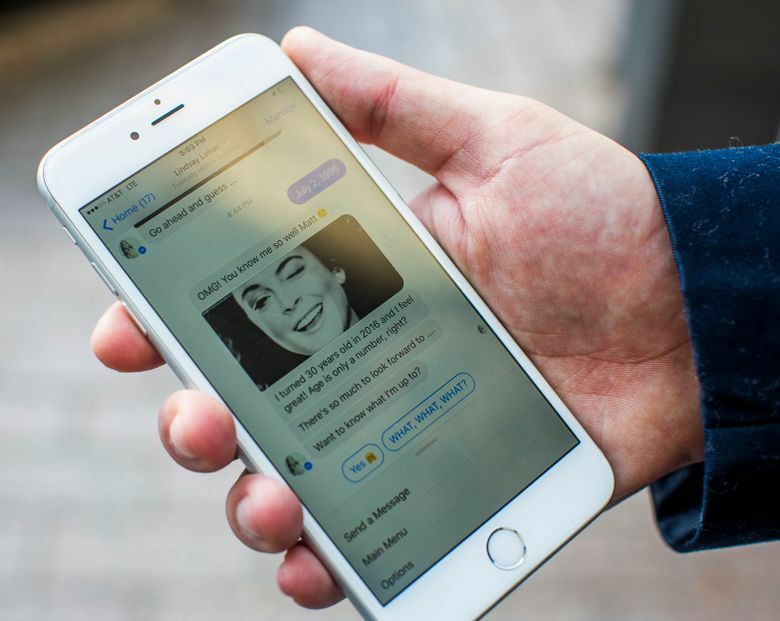 Yet even in their programmed responses, chatbots can convey human personality, said Christina Milian, a singer and actress who has been among the earliest proponents of the technology, and helped found Persona Technologies, an Octane competitor. Octane AI, founded about a year ago, is one of a handful of technology companies tailoring these programs to the entertainment industry, with clients including Interscope Records, the label behind Maroon 5 and 30 Seconds to Mars. Matt Schlicht, Octane AI’s chief executive, said that with more than 1 billion users, Messenger — the chat app connected to Facebook — was too large for celebrities to ignore. And once they are paying attention, his company’s bots can help them make efficient use of it. Chatbots have become a common part of online interaction for major consumer companies; Domino’s, for example, lets customers use one to order a pizza. They have quickly spread since last April, when Facebook made it possible for developers to build bots on Messenger. The change made Messenger a more useful channel to broadcast information to numerous recipients, and for many artists and marketers it solved a frustrating problem: As Facebook has grown, its news feeds have become more crowded — not to mention pruned by algorithms — making it harder and harder to reach followers. Chris Mortimer, the head of digital marketing at Interscope, said Messenger is now a critical way for his artists to reach their fans. “Right now, a Facebook Messenger inbox is what an email inbox was before the spammers got to it,” he said. Octane AI’s clients say response rates to its chats are extraordinarily high. According to the company, when its bots send a new notification, 50 to 75 percent of its subscribers open the message and click a link within 10 minutes. Bots have become popular for musicians even though they have been slow to catch on overall; at a conference in September, a Facebook executive called the technology “overhyped,” and said that early examples were unimpressive. Still, Milian said her Messenger account had attracted 2 million people since she introduced her bot in October. Maroon 5 also demonstrated its value for commercial research. In February, a day before the band released its single “Cold,” it sent a clip of the song to its chatbot followers. Within 24 hours, fans sent 100,000 messages to the bot, and shared the clip on social media. “You can get pretty strong sentiment analysis in a snap,” said Ben Parr, Octane AI’s chief marketing officer. Chatbots’ high engagement rates may be helped by their novelty. But as they spread, they will have to be reconciled with the sour perception of bots among the general public, which has been building for years because of the use of bots in fake social-media accounts and, especially, ticketing. Bots have become such a scourge in the global scalping market that last year President Barack Obama signed a federal bill outlawing their use in buying event tickets. Bocanegra entered the business last year, after making a Selena Gomez bot to entertain his daughter. Persona creates custom chatbots for clients including Snoop Dogg and one for the “50 Shades Darker” character Christian Grey, which tells fans that if it cannot trust them, “I’ll have no choice but to spank you.” Bocanegra said a basic bot could be ordered for $2,500 plus maintenance charges. San Francisco-based Octane AI, which lets anyone use its technology to build a bot, does not charge for its services. The company is supported by $1.6 million from investors including the venture-capital firm General Catalyst, and says it will introduce revenue-generating features soon. So far, the bots’ ability to create interactions with pop stars — even if those interactions are programmed in computer code — has been enough to intrigue fans. Sue Winett, a Maroon 5 fan in the Los Angeles area, proudly notes that at age 61 she is far older than the average admirer of the band. But she said her love of the band had led her to all forms of social media — her Twitter handle is @AdoreAdamLevine, after the band’s lead singer — and that aside from a few kinks in the programming, she was enjoying the band’s chatbot.